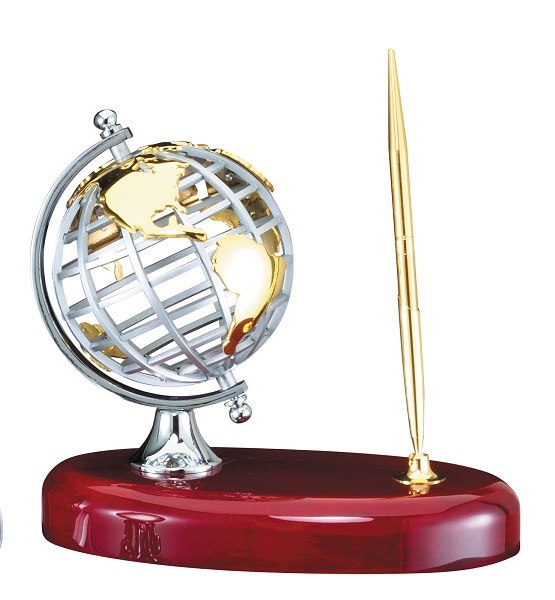 Have the world at your fingertips and a pen close at hand with this rosewood desktop globe and pen stand. The globe is made of a solid metal cage with polished gold continents and islands attached to it. 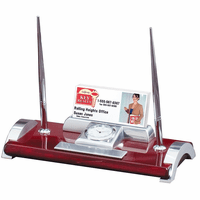 It rotates fully and sits on a polished silver pedestal mounted on the rosewood finish base. 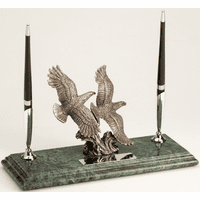 On the opposite side of the base is a polished gold pen stand with a ballpoint pen included. 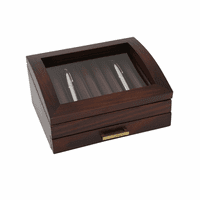 Add a laser engraved plate to the the front area of the wood base for a custom touch that perfect for corporate awards and employee recognition gifts. Case dimensions: 8" x 3 1/2" x 7"